Mr. John D. Rockefeller made a fortune from our love of mobility and the freedom it represents. As a young professional, he recognized the power of oil to fuel transportation and America went wild! Mr. Henry Ford, a farmer, designed the first assembly line automobile. It ran on alcohol. His fuel was made anywhere, anytime, by anybody, out of anything that is or was a plant. So, Mr. Rockefeller got his buddies together to formulate and pass Prohibition Legislation banning the transportation of all alcohol. In the meantime, Mr. Rockefeller’s Standard Oil monopoly was split into 34 companies. All 34 were in his stock portfolio. America’s love for freedom was turning into an oil guzzling addiction that could no longer be supplied by choice. Trolleys were everywhere. Anyone could ride them anywhere. They ran on electricity. It was possible to travel from San Francisco to New York City by transferring from trolley to trolley. What happened to those trolleys? I guess Mr. Rockefeller needed some more money. Standard Oil, Mack Truck, General Motors, Phillips Petroleum and Firestone created a company that bought them all up and trashed them. The replacement option? 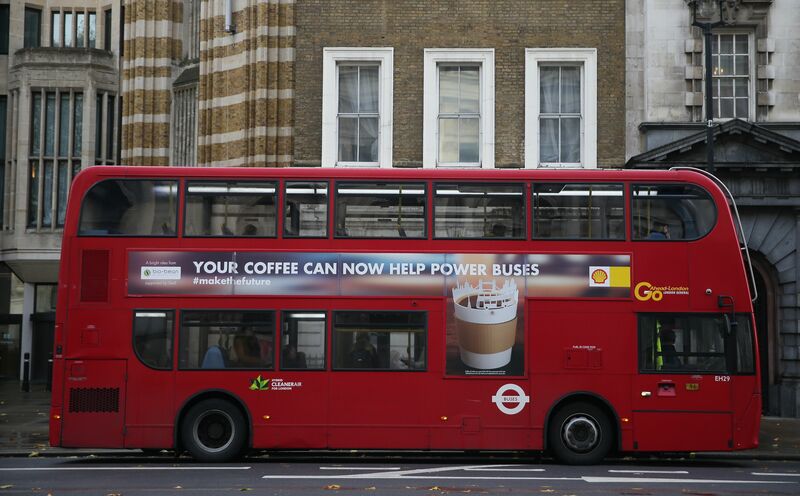 Fuel guzzling buses. Even though the Federal Government indicted all five companies for their part in the conspiracy, they started the largest public works project ever. It was based on oil; highways, suburbs, shopping malls, and the beginning of a consumer society that uses oil for fuel, clothing, food, medicine, lubricants, plastics, furniture and construction materials. Freedom? Well, that was based on cheap oil and loads of it! Limitless supply? Ummm, China now has more cars than we do. Cheap? OPEC acting as a cartel ended that idea in the 1970s. Choice? Hmmm, there doesn’t seem to be one. Until you see the movie, Pump. https://www.youtube.com/user/PUMPtheMovie2014 It will change your mind about our fossil fuel addicted future. Natural gas may be here to stay. Unfortunately, though, we can’t keep up with our own demand and its controversial extraction process is leaching into some of our water. Natural gas is a shale oil or methane gas commonly associated with hydraulic fracturing, or fracking, which uses water pressure to fracture shale and release the oil or gas. We produce about 10 million barrels a day, we use about 18 million barrels a day and the world uses 88 million barrels a day. We are running as fast as we can to stay in one place so it isn’t saving us any money at the pump. Areas the size of states, like the Bakken Formation in North Dakota, are being shattered to bits. But it gets better! Alcohol has always been the better fuel and anyone can make it. Beets, sorghum, buffalo gourds, corn, prickly pear and the alcohol producing giant…cattail flowers make it possible to produce fuel wherever you live. Are you worried about food prices and supplies? Don’t be, ethanol is the other byproduct of feed corn for animals. You get more feed AND more fuel. The same guys who want you to buy oil let you believe food prices rose because of ethanol production when food prices always rise after oil prices go up. And it gets even better still! Methanol is the cleanest burning, simplest, most abundant alcohol. It can even be made on Mars and it isn’t as flammable as gasoline so race car drivers have been using it for decades. Oak Ridge National Labs estimates that we have 1 billion tons of biomass for methanol available to use every year. That includes 240 million tons of trash of which 160 of it currently goes to landfills. Iceland is making it out of CO2 and Hydrogen. For more on the Methanol Economy read http://www.wiley.com/WileyCDA/WileyTitle/productCd-3527608354.html written in 2006! Then there is electricity. It can be made from wind and solar energy. Nikola Tesla set out to convince us that we can have cars, clean air AND clean water. By partnering with solar giant, John Paul Mitchell and Tesla owner, Elon Musk, along with many others, they are developing the infrastructure to produce and run affordable, luxurious, electric cars. Even Roland Hwang, Director of the Energy & Transportation Program of the NRDC is excitedly reporting the vast improvement of lithium ion batteries because of electronics. Alternative fuel stations can be located on line or you can go to http://www.afdc.energy.gov/afdc/fuels/stations.html. Imagine everything we throw away becoming biomass for fuel! That means animal waste, construction waste, yard waste, food and agricultural waste, municipal solid waste, sewage, EVERYTHING that is or was a plant! Support and form communities to get our paid representatives to stop eliminating our choices at the pump. Consider installing a flex fuel kit on your engine. Support local biomass collection and alcohol production. Make some moonshine! Let’s stop polluting our home.